BitDefender Free Edition is your chance to use one of the world's most effective antivirus engines for free! BitDefender Free Edition uses the same ICSA Labs certified scanning engines found in other BitDefender products, allowing you to enjoy basic virus protection for no cost at all. 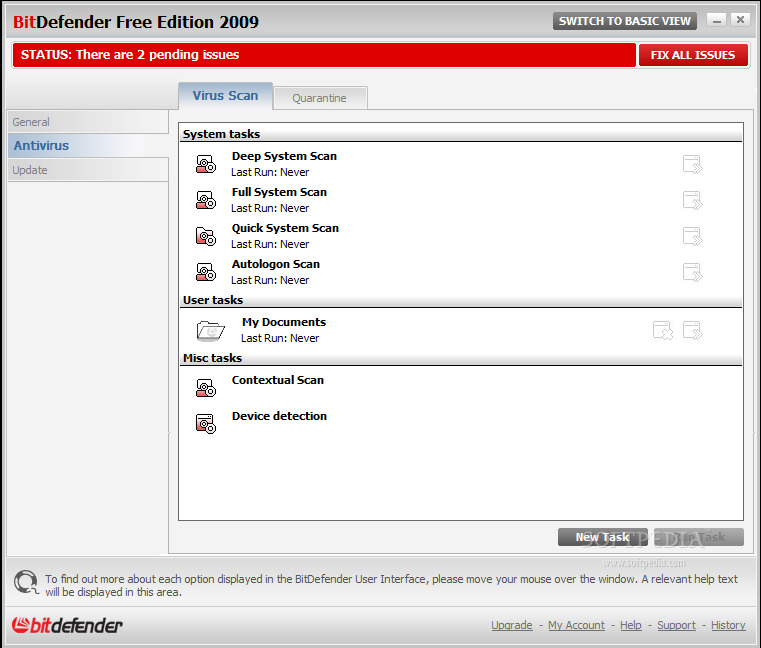 BitDefender Free Edition is an on-demand virus scanner, which is best used in a system recovery or forensics role.